I love this top and even more so in person! I must say, the barely there stripes and exaggerated bows on the sleeves are everything and make it very on-trend for spring. 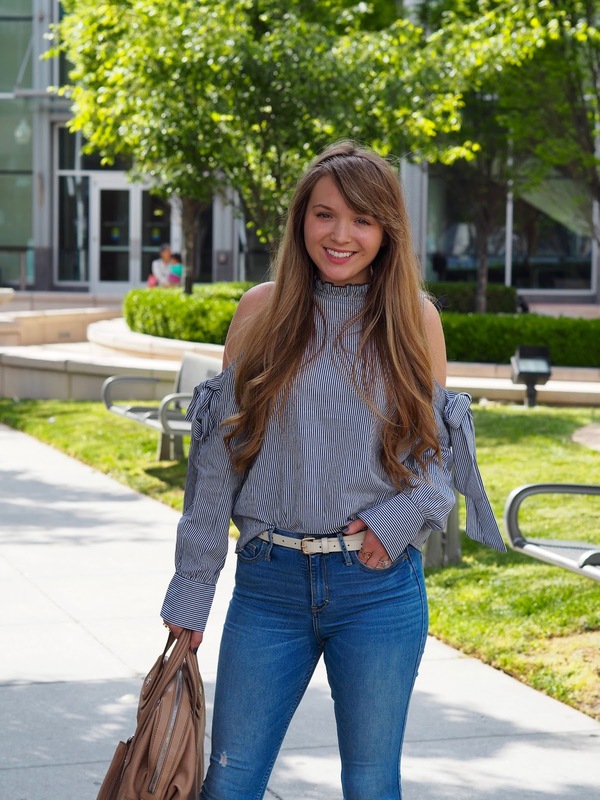 I’m not a huge on trend person, but I am loving all the cold shoulder tops lately! I also, can’t get over this adorable mock neck. The fabric is super lightweight and comfy! You can have it tucked into jeans, like how I styled it for today’s post. Or you can also dress it up with black skinny jeans or a pencil skirt and heels for the evening. For sizing, I ordered a small and overall fit is true to size. It’s under $20 and comes in two colors! What a adorable and unique top! Perfect for spring! This is so cute! I never normally buy stuff like this out of fear it'll just sit in my wardrobe because it's unstylable. You've styled it gorgeously! Loving the big bows and the stripes and for under $20 it's such a steal!! This top is so cute! Love the bow detail!! I'm loving the big bow trend, and this top is particularly cute! I love the cutout shoulder opening too. I love the peekaboo shoulders on this! 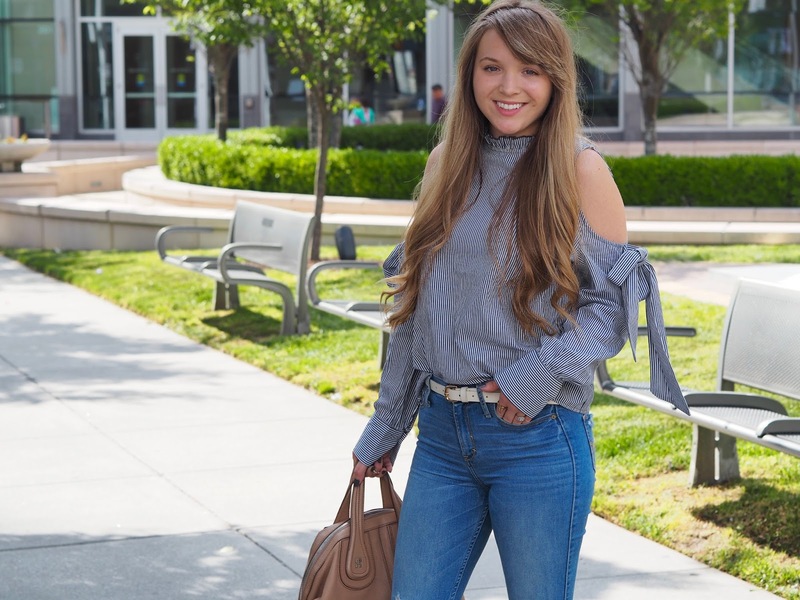 I've been getting super into this trend this spring, and love how you styled it here!